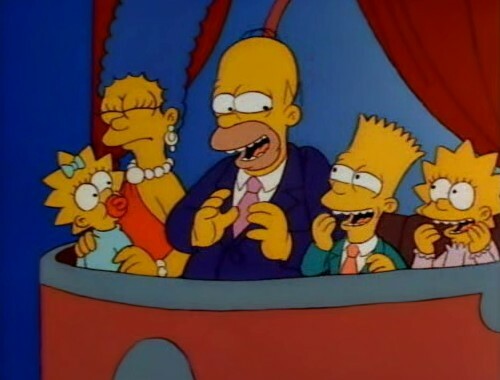 • The stories have a strong moral core, as opposed to just comedy – the over-arching message through the Simpsons is that although they’re a dysfunctional family, they love each other, and it’s family that keeps them together. This means the bulk of episodes are more interesting than funny, but always well-written. • Most of the episodes have only one plot per show – meaning 22 minutes is dedicated to fleshing out a storyline, which is really refreshing. 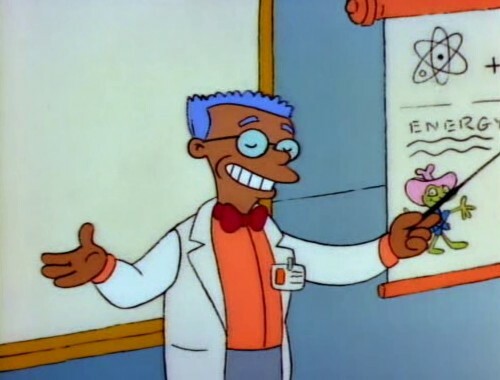 • Half of the season is ‘Pre-Production’ Simpsons, where the actors haven’t settled on a voice, and the animation is much rougher and cartoony, with charicature expressions and Hanna-Barbara sounds (Marge snarling with a lion roar sound, slamming the door makes a funny wobbly cartoony sound). Other early animation gafs/choices like Black Smithers, Barney having yellow hair, Moe black hair etc are present. • Bart is positioned as the most marketable: the catchphrase-spouting mischevous kid. (especially in Call of the Simpsons). Even though Homer is by far the funniest member of the family, and as an adult, isn’t impeded storyline-wise. Best episode: Krusty Gets Busted. 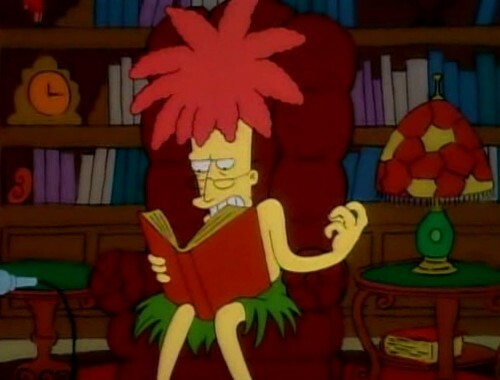 The introduction to the show-stealing SideShow Bob, with some fun sleuthing in an experty-crafted episode. Worst episode: Moaning Lisa. Miss “Answer to a Question nobody ever asked” is sad, and she doesn’t know why. Cue Jazz songs and watching her mope around. Homer lamentingly points out his house from Barney’s window, saying its the brightest as someone left the porch light on. Barney (ringing Marge & chastising her) “You left your damn porch light on! Homer’s not made of money!” AMAZING. Dr. Marvin Monroe: I’m as sure of it as I’m sure my voice is annoying. Homer: You mean all white with pink eyes? Sideshow Bob (on a riff of Krusty’s opening catchphrase): WHOM do you love? Overall: Should you watch it? Only for historical reasons. Although it has it’s positives, it hasn’t quite come together. Always well-written but this (and nothing else on television) can’t measure up to some seasons that follow.